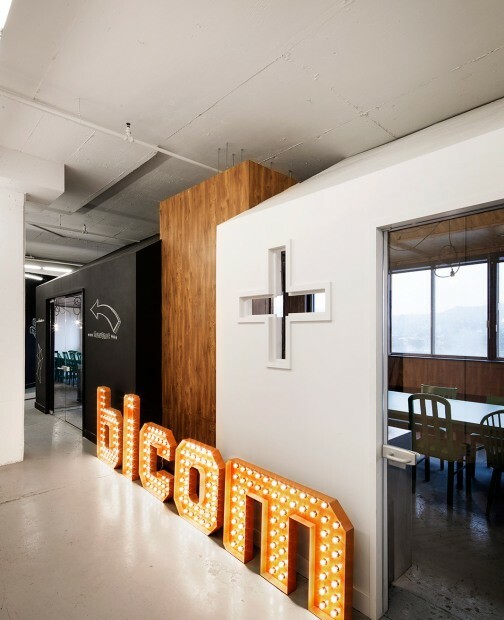 The planning of Bicom Communications posed challenges, including the integration of closed offices and the flexibility of development due to the continued growth of the company. 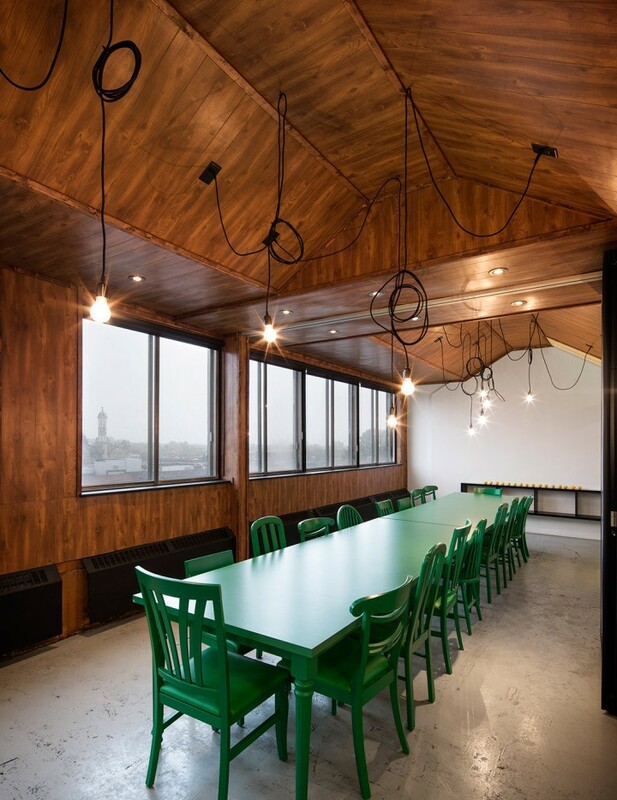 Reduced to human scale, the former factory of 4,500 sq. 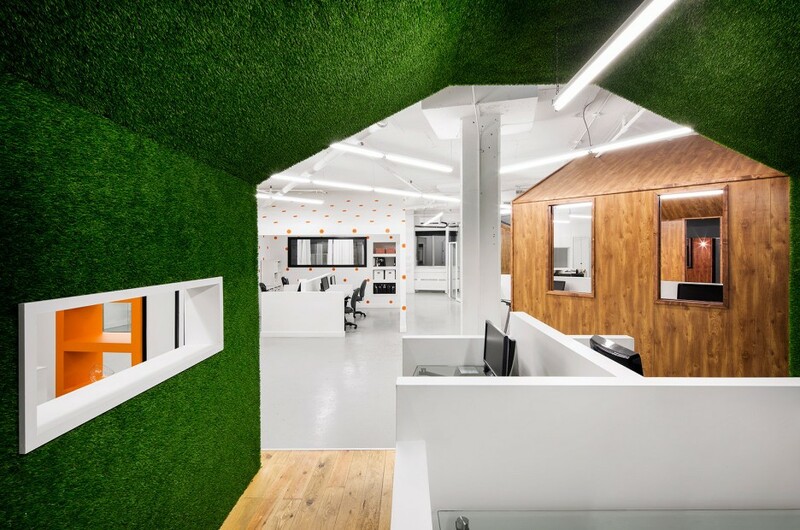 ft. is now a place of exchanges, thanks to our interior design of a warm and fun office. 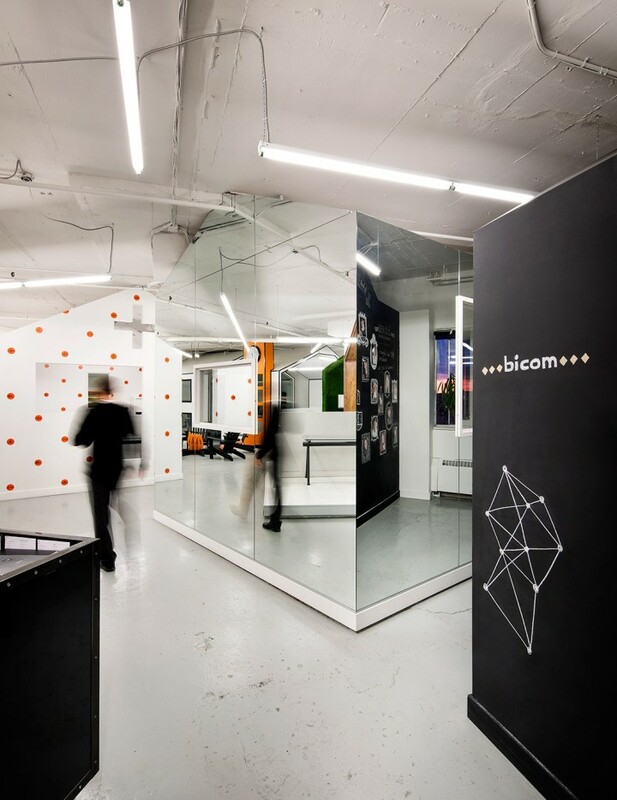 Meeting the requirements of our young creative clients, the multi-faceted design we have proposed illustrates the diversity of personalities in the company and the particular way of management. 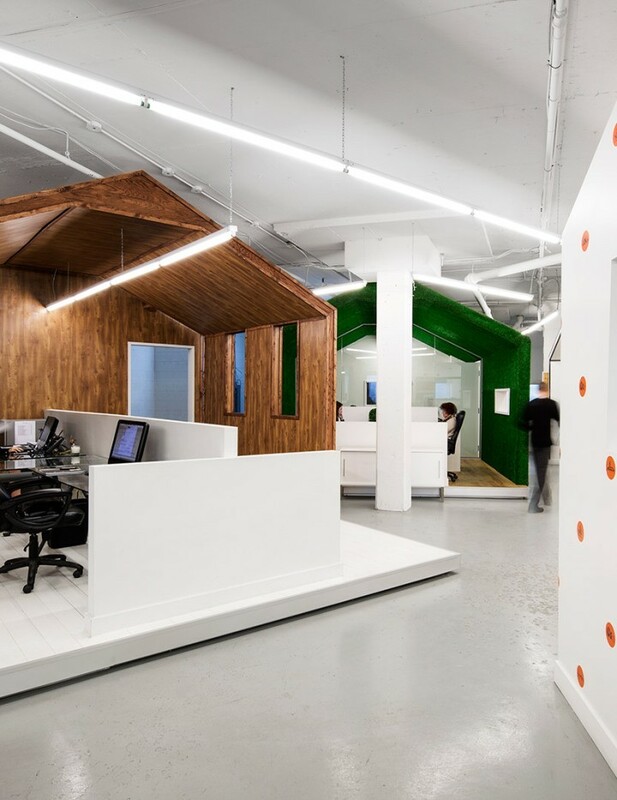 By means of deconstruction, the collective dynamics design promotes more direct contacts between employees. High ceilings made possible the concept of huts. They each have their own graphic language and function. The village extends over the entire area and is organized around common areas. The huts have an identical shape to maintain the overall unity. The project is a winner of an international design award in Munich, in 2014 and earned a mention at an interior design award in New York, the same year.